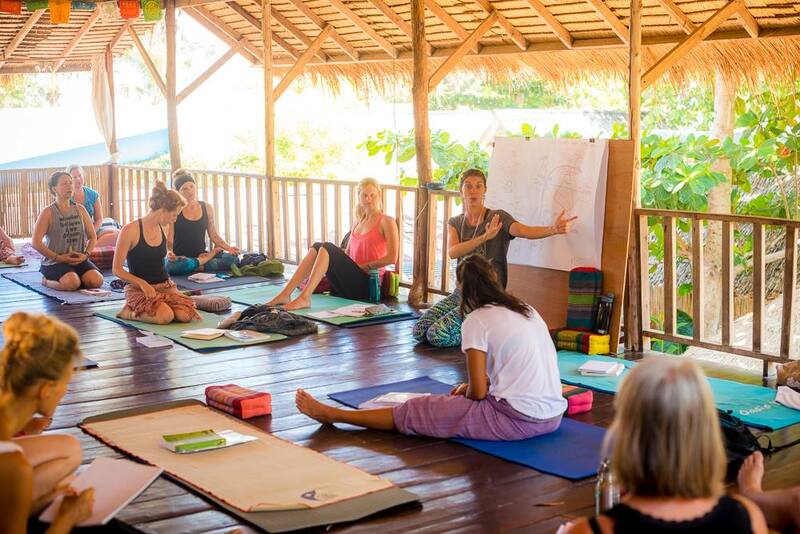 Your chance to teach your yoga on a tropical island has arrived!!! In the Green Season months, April-October, we open our doors to yoga teachers around the world to host their own retreat or teacher training courses. Over the years, we have hosted many retreats abroad and know how fun and exciting it can be to lead your people to a new and exotic practice location and we also know how daunting the search for the right space and booking process can be from afar. We have tried our best to present the information as clearly as possible but feel free to send us emails with any further questions or concerns. 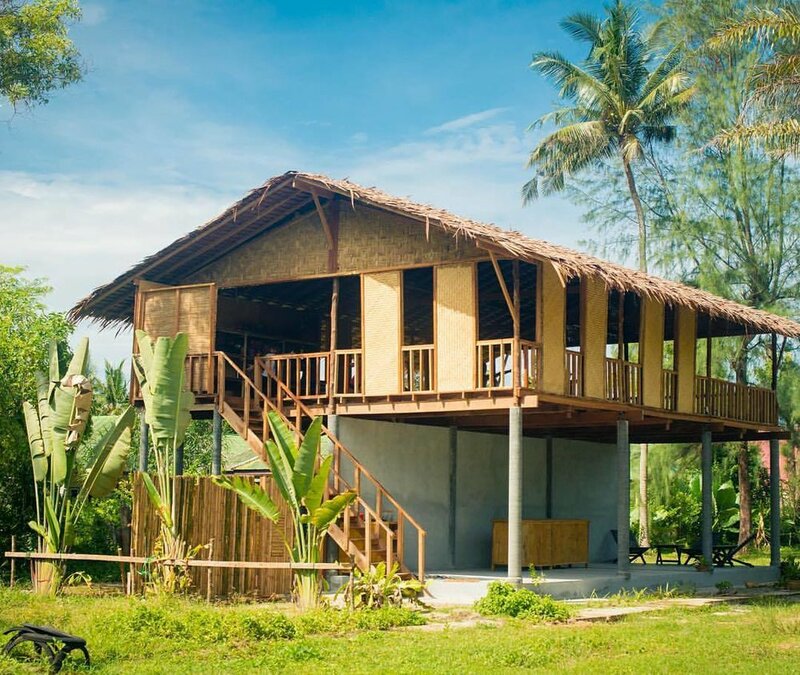 The practice space is a tree house style open air shala with wood flooring and grass roof. It's located at the back end of the property, away from the street and sits among many palm, bougainvillea and jacaranda trees. It's large enough for 36 mats and is fully equipped with mats, straps, blocks, Yin pillows, and mat cleaners. There is soft lighting and an electrical outlet. Downstairs there is a lounge area, water cooler, foot bath and check in counter. If the bungalows are open to the public during the time of retreat/training there will be one public class per day from 10:00-11:30. There are other areas on the property in which non asana related classes could be held during that time. 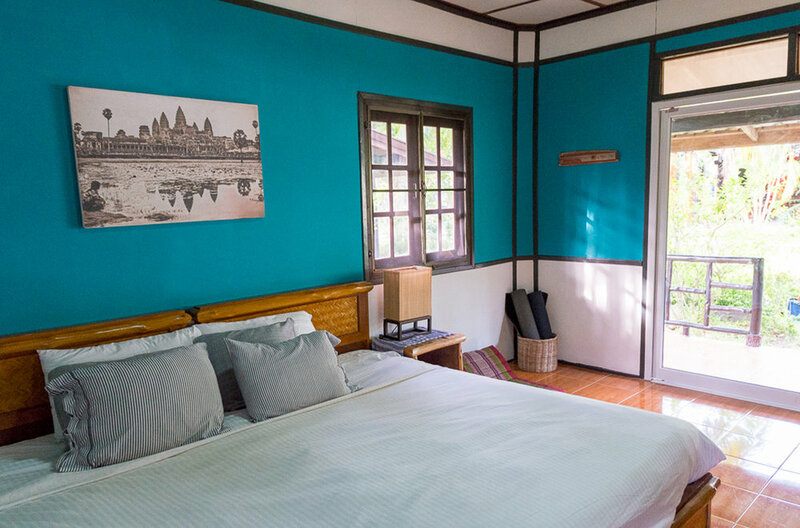 There are 5 total Garden Bungalows, two of which are set to one queen sized bed and three that could be either one king or two twins. Each room has A/C and fan, hot&cold shower, reusable water bottles, small fridge, small safety box, a porch with sitting area and fiber optic Wifi. There are 13 total Pool Bungalows. Seven which can be set to either one king or two twins, three with queen, and three with one queen and one bunk bed. Each room has A/C and fan, hot&cold shower, water kettle, reusable water bottles, small fridge, small safety box, a porch with sitting area and fiber optic Wifi. All room rates include free tea and proper french press coffee with a variety of milk options. If you'd like your group to also enjoy meals together you can add on a meal package which includes breakfast, lunch and afternoon snack. A typical breakfast buffet includes fresh homemade bread, homemade chia see granola, homemade yogurt, local veggies (often from our own organic garden), fresh eggs, loads of tropical fruits, cheeses, sweet potatoes and cold pressed juices. Lunches can be Thai, Western or a combination, either way it will be prepared clean, light, and fresh. Snacks will include our signature smoothies and fresh tropical fruit.